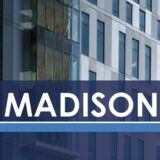 Madison Construction is a family-owned, fully integrated Construction Management and General Construction company employing some of the most highly experienced and successful individuals in the industry. Madison Construction’s staff has managed some of the largest, most complex construction projects. That experience encompasses national and regional projects ranging from planned mixed-use communities to premier convention center districts.